If you’ve found the home of your dreams or selling your current home, are you wondering if you should seek an appraisal? Well, then you’ve come to the right place because this guide will tell you what you need to know. The appraisal meaning is the valuation of property, real estate, a business, or an antique by an expert who’s authorized to do so, Investopedia reports. In order for an appraisal to be valid, this person must be designated by a regulatory body that presides over the jurisdiction of the appraiser. Most of the time, appraisals are used for tax purposes or to determine what the selling price of a home or property should be. Appraisers use a number of methods to determine the proper value to assign a home, including the current market value of properties in your area and the quality of those properties, or he or she may use valuation models. 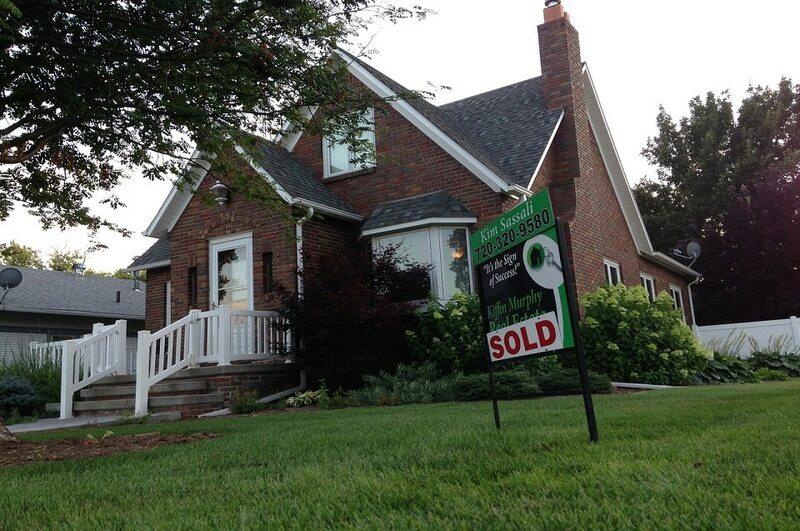 One tactic the appraiser may use is to study recent sales of similar homes in your area. He or she may also consider current market trends. Your home’s amenities (such as a pool, or it’s proximity to schools and shopping) affect its value. The appraiser will also consider the number of bedrooms and bathrooms your home contains, the functionality of the floor plan, and the amount of square footage in your home. If you own a single-family home, the appraiser may use Fannie Mae’s Uniform Residential Appraisal Report. The report asks the appraiser for information about the interior and exterior of the home, the neighborhood, and comparable sales in the vicinity. At this point, the appraiser provides analysis and conclusions about the home based on his or her observations. A street map that shows the appraised property along with comparable sales in the area. An exterior sketch of the home. An explanation of how the square footage was estimated. Photos of the home’s front and back, as well as a photo from the street. Other relevant information — including market sales data, public land records, and public tax records. The appraiser uses this information to calculate a property’s fair market value. It’s worth noting that in general, appraisals cost several hundred dollars, and the fee is usually paid by the borrower. If you’re selling your home, obviously an appraisal can help you determine the listing price, SFGate reports. Although a Realtor can’t provide an appraisal, they can provide a valuation report for your home. Your Realtor will analyze homes in your area that are similar in size, features, and condition. They’ll also look at the prices they sold for over the past year. These properties are known as “comparables.” Now your agent adds or subtracts value to your home by considering features that the “comparables” might not have. A property fence definitely adds value; peeling paint will subtract value. However, if you’re buying a home, the lending institution involved will require you obtain a professional appraisal. This is because the lender wants to be certain that the property value matches the amount of money borrowed. This is also a good way to make sure that the amount of money you have agreed to pay for the home is reasonable. During a home appraisal, the lender is asked to finance your home and conducts the appraisal to determine its actual value. If the home appraises at or above the contract price, the sale will likely go through without a hitch. What happens if a home appraisal is too low? If the home appraises substantially lower than the purchase price, it’s a whole other story. In this scenario, chances are the lender will decline the deal. If the prospective buyer is still interested in your home, they will have to come up with the difference between your home’s appraisal value and the mortgage lender’s financing offer. Otherwise, the deal will stall. If several distressed sales have occurred in your neighborhood, that will drive the appraisal value of your home downward. But this doesn’t have to be as bad as it seems. If you feel that your home’s value has dropped because of foreclosures and short sales, you may be able to convince the appraiser that your home is in better shape than the surrounding properties, and therefore worth more. In some cases, federal guidelines have further complicated this issue. These guidelines were meant to eliminate inflated appraisal values that contributed to the 2008 housing crisis. However, they can cause appraisal values to come in lower than fair market value. And that, in turn, can make it trickier to challenge low appraisals. So what do you do if the house appraisal is too low? Additional appraisals can be costly. Not only are you paying for the first appraisal as part of your closing costs, but you’re also paying for any additional appraisals. These can range in price from a few hundred dollars to over $1,000, depending upon the area. Sometimes, the real estate agents or the seller will foot the bill if they want to go forward with the sale, but that’s rare. If the appraisal is lower than the offered price, you can often renegotiate the contract price. Most real estate contracts have a specific clause built in for just this case. Peter Grabel, managing director of Luxury Mortgage in Stamford, Connecticut suggests, “You might go back to the sellers and ask them to reduce the price or split the difference.” He goes on to remind us that the seller is not obligated to do so, at all. However, according to Jarvis, your offer may be more appealing than taking, “a chance of losing you as a buyer and starting over again.” This is because another buyer likely will have the same issue, “so the seller might be better off renegotiating with you unless they have other offers,” Jarvis concluded. This might be worth the seller’s while, especially if they are dealing with Federal Housing Administration. Lenders often require the use of their own FHA-approved appraiser. Such appraisals are “locked in” for six months. Jeff Knox, broker and owner of Knox & Associates, says this isn’t unusual in his area at all “Of all possible outcomes, this is what happens most frequently,” he said. Knox continued to say that a low appraisal value is often initially upsetting to sellers, but, “most reasonable sellers” come around, recognizing that, “any other appraisal values by potential future buyers” are likely to resemble this appraisal. If you’re selling your home, there is one way to ensure you don’t lose thousands of dollars: Make sure your contract has an appraisal contingency. This is one way to make sure you get your deposit back. Hopefully, things will go better the next time around. Should You Have Your Home Appraised Before or After Placing It on the Market? There is at least one benefit of doing this since an appraiser will be able to give you the fair market value of your home, Homes.com reports. But there’s also a downside to doing this because the real estate market fluctuates. Constantly. And it’s not unusual for buyers to want to conduct their own appraisals. What if you’re planning to refinance a conventional mortgage, for instance? Problems may occur because your home needs to appraise at or above the amount you want to refinance it for. If it doesn’t, the bank will likely decline your request. But, you’re in luck if your mortgage is an FHA mortgage because you don’t need an appraisal to refinance it through the FHA Streamline program. It’s a good option if you’re a struggling homeowner. Whether you want to buy, sell, or keep your home, obtaining the appropriate appraisal can be challenging. Hopefully, this guide has made things a little easier.